Data released by Agria Pet Insurance for the Kennel Club’s Eukanuba Discover Dogs event at ExCeL London later this month, shows a wide variation in the dog names that are popular in different parts of the UK. 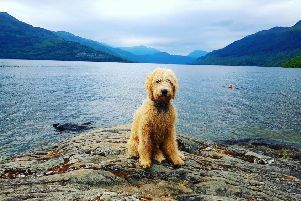 Two of top ten most popular dog names in Scotland fail to appear in the UK’s overall top ten – Hugo and Bailey, which are at numbers nine and ten respectively. Hugo only appears in the top ten in one other place in the UK (the North West). Teddy and Buddy, which are the eight and ninth most popular dog names in the UK, are shunned completely from Scotland’s top ten. Bella is the most popular name in Scotland, in line with the rest of the UK, but the second and third most popular names – Alfie and Max – only rank at numbers six and ten in the UK overall. Scotland is the only region of the UK where Alfie and Max make the top three. Caroline Kisko, spokesperson for the Kennel Club’s Eukanuba Discover Dogs event, said: “There is a wide variation in the dog names that are popular in different parts of the UK. Dogs are part of the family, so our choice of dog name is very personal and our recent research* has indicated that almost one in five people (20 percent) spend more than two hours on the choice. “However, people need to give a lot of consideration to the right breed for their lifestyle as well, in order to ensure a happy and lifelong partnership, and sadly some people are spending less time on this than choosing their dog’s name. Whilst 5 percent choose their dog’s name on impulse this is 23 percent when selecting a breed.